Puthandu, also known as the Tamil New Year will be celebrated on the 14 April in 2019. Puthandu is also known as Varusha Pirappu and is observed on the first day of Tamil month Chithirai, according to the Tamil calendar. The day falls on April 14, according to the Gregorian calendar. Celebrated with great zeal and fervour in Tamil Nadu, Pondicherry and other places with significant Tamil population, Puthandu is observed on the first day of Chithirai, which is the beginning month of the Tamil solar calendar. Puthandu marks the onset of the new calendric year among Tamilians. Puthandu is also celebrated across India by different communities using different names, such as Vishu in Kerala, Pana Sankranti in Orissa, as Poila Boishak in West Bengal, Bihu in Assam, and Vaisakhi in Punjab. The day sees Tamilians celebrate with new clothes and prayers offered to the gods. Another essential part of the celebration is good food. Tamilians prepare a range of traditional food items to observe the day. This healthy and tasty drink is perfect to welcome summer. The recipe requires simple ingredients such as jaggery, nutmeg, cardamom, tulsi, etc. The drink is extremely refreshing and easy to make. Rava Payasam, also known as sooji kheer in Hindi is a pudding-style sweet dish made of semolina. It is usually made for festivals and is also offered to God sometimes on special occasions. 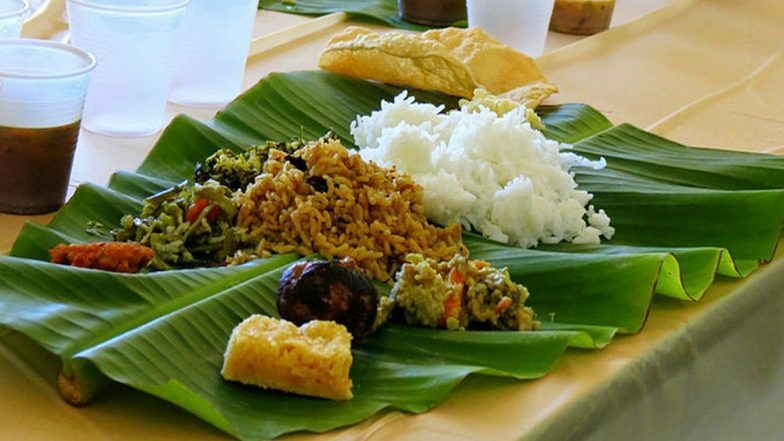 Tamil New year is celebrated with a traditional lunch served on banana leaves that include, sambar, karunai kizhangu varuval, avarakai poriyal, panagam, anasi carrot halwa, appalam, pattani paruppu vadai, etc. The lavish lunch is enjoyed to commemorate the special day. Another special recipe from Tamil Nadu that is prepared especially during Tamil New Year. The recipe includes raw mangoes, jaggery, green chillies, mustard, red chilly and vepambu (neem flower) as the main ingredients. This sweet dish made out of Dal and Jaggery is another speciality of Tamil Nadu prepared on Tamil New Year. Usually, paruppu payasam is served with the elaborate lunch that is prepared on the day. Such festivals are a great way to exchange traditional recipes, especially in a country like India which is rich in various cultures. The dishes made for Puthandu are made of fresh seasonal produce. They signify health and prosperity for the new beginnings of the year.